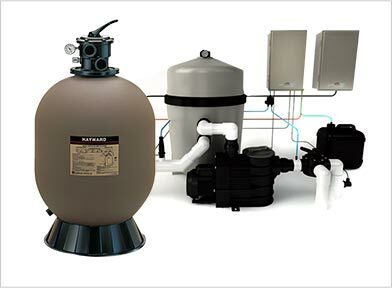 The right filtration system will ensure that your water is sparkling clean at all times, but to achieve this you need a reputable swimming pool filter in Melbourne. The added bonus of using filters is that they actually reduce the amount of maintenance your pool requires, so you have more time to enjoy it! These sand pool filters offer the very latest in technology that is available in 6 different sizes to ensure that the size of your pool can be accommodated. It features a completely corrosion-proof base and filter tank, as well as a moulded drain plug for easy tank draining without loss of sand.